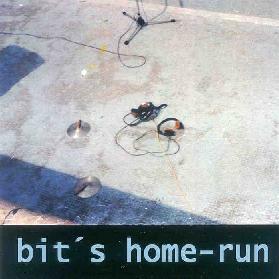 Hailing from Germany, Bit’s is a side project from S.Y.P.H.’s guitarist Uwe Jahnke and drummer Ulli Putsch. They play an experimental hybrid of jazz, electronica, ambient, and krautrock, similar in ways to contemporary bands like San Francisco’s Mushroom, although the recordings on this album date back to the early 80’s. Amazing really, considering that before I read that little tidbit of information, I would have easily said this album was entirely contemporary sounding. Having worked in alternative college radio back during this period, I can tell you the recordings on this album sound nothing like what was going on at the time they were produced. Bit’s was obviously way ahead of everyone else. Not surprising, since the first four tracks (originally from a maxi-single released in 1982) were produced by Can’s Michael Karoli. Karoli even lends some excellent psychedelic guitar licks to the second track, first Byte. The album is often dark and moody, and resonates with a late night vibe and an experimental edge. Synthesizers are used only lightly, the electronica feel coming more from the steady drum beats and motorik rhythms that propel the music. Around those beats and rhythms weave edgy guitar, dark piano, broodingly funky bass, and occasional, understated vocals. The opening track, Two byte, throws a bunch of murky samples into the mix as well, but this isn’t the general trend of the album, or even of the three other Micheal Karoli produced pieces. The only track that sounds remotely of its time is, perhaps, the upbeat rocker Speed. But the 80’s sounding synth lines actually add a sort of nostalgic appeal, and work well with the searing guitar making this one of the catchiest tracks on the album. The album closes with a tasty space jam full of freaky guitar effects and swirling synths in the form of Can beee, and as its title suggests, this track especially, and the rest of the album as well, will no doubt appeal to fans of the more rhythm based Krautrock styles, like those created by Can in their heyday. For more information you can visit the Fünfundvierzig web site at: http://www.funfundvierzig.com.